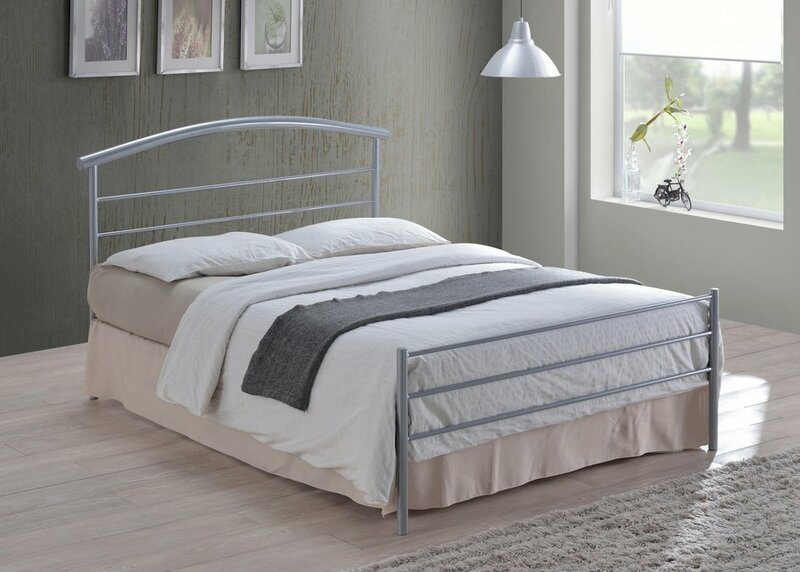 Beautiful metal bed frame with a modern curved headboard and low foot end. 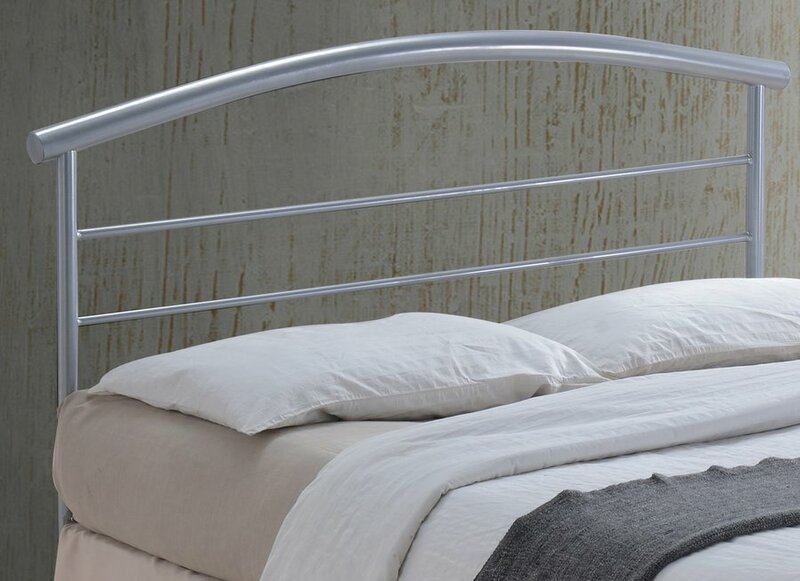 Modern silver finish works with most colour schemes. 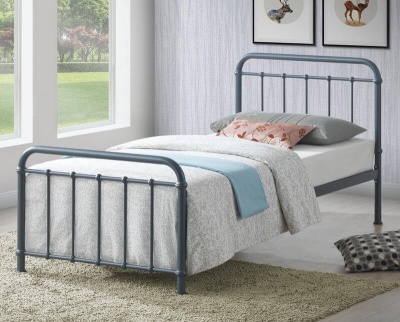 Sprung slatted base for extra comfort and provides an even and sturdy sleeping surface. The under bed clearance/storage space is 31.5 cm. 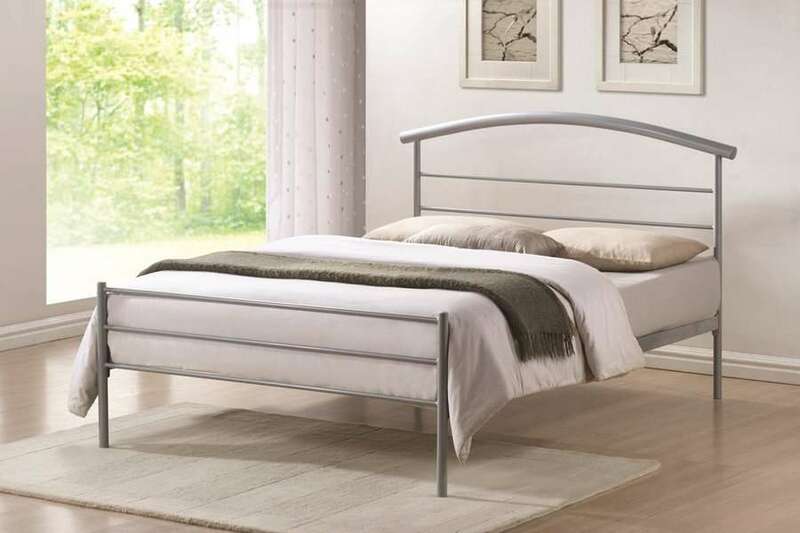 Ideal if you need to you the space under your bed for storage. Flat packed for self assembly full instructions included.